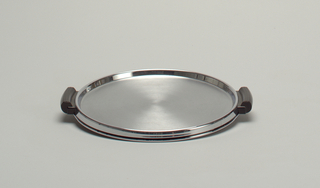 See more objects with the tag circular, geometric, brass, tray, serving ware. This is a Tray. It was designed by Tommi Parzinger. It is dated ca. 1955. Its medium is cast brass. It is a part of the Product Design and Decorative Arts department. 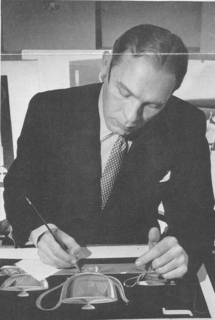 Born in Munich, the designer Tommi Parzinger came to the United States in 1932. He earned his reputation working in silver but also explored work in ceramics, glass, furniture, and graphic design. 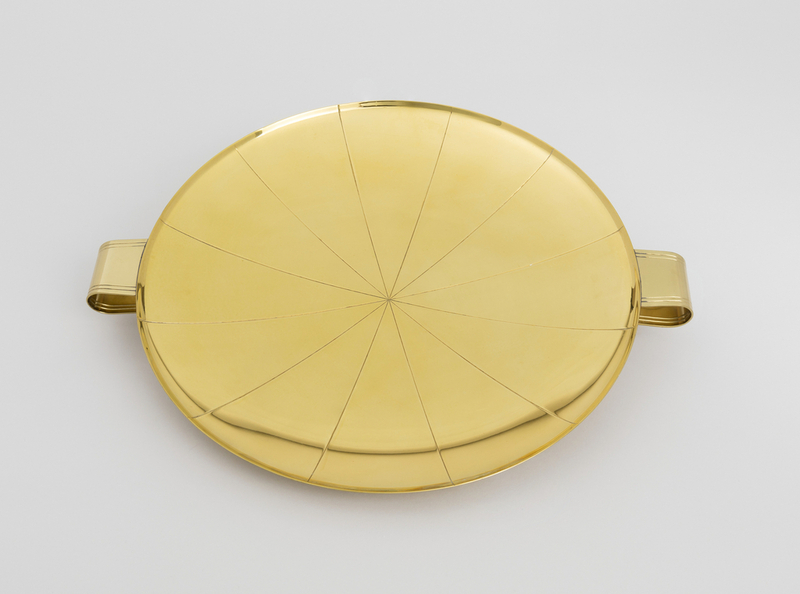 Before setting up his own company, Parzinger designed brass and crystal objects as well as furniture for Rena Rosenthal’s Madison Avenue shop that was an early promoter and retailer of modernist European wares. At the time, most metalwares used on the table and for decoration in the American home were still primarily historical adaptations. 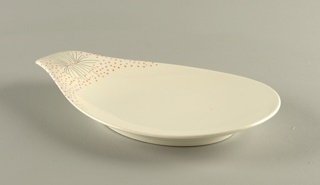 Parzinger designed graceful wares with delicate etched decorations and purposefully simple shapes. This tray in brass embodies all of these qualities and comes out of a partnership between Parzinger and Dorlyn Silversmiths. The tray’s footed construction, tab handles, and symmetry evoke the classical influences to which Parzinger often turned. 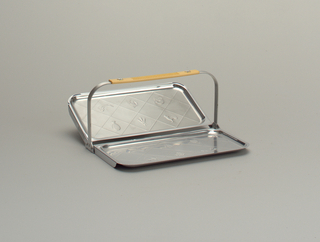 The line for Dorlyn also included candlesticks, serving pieces, a coffee service, and other serving wares many of which carried the radial patterning seen on the tray.